Discussion in 'Android Devices' started by kbayer, Jan 2, 2010. I've had the Droid since Christmas and love it! However, I can't seem to ever put it down and am constantly toying with it and have to recharge every several hours, obviously. I'm coming from a nokia n95 and am somewhat spoiled by the N95's seemingly much lonnnnnnnger battery life. I was searching for creative ways to extend the battery life on the Droid when I found this gadget (designed for iphone). mophie - iPhone Battery, iPod Cases, iPhone accessories and more! I couldn't find anything like this for the Droid -- but I think this would be a no-brainer if it were ever introduced into the Droid marketplace. If anyone knows of something similar for the Droid, please pm or post here! Give it time and I imagine someone will make one as long as the DROID stays relevant. I just carry a spare battery with me. Seems more cost-effective. With the size of the DROID's OEM battery, and the ease of replacing it ... I really don't understand why anyone would want to pay $80 for a case/extendo-battery. 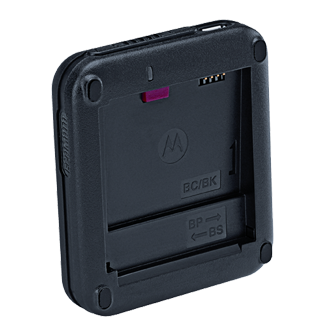 Carry a 2nd battery in your pocket and it's a done deal. But, differnt strokes for differnt folks I guess. I keep mine in a small plastic container. No unpleasant "hot-pocket" surprises that way. for those of you that have a 2nd battery how do you charge it? I bought a stand-a-alone universal charger from Verizon. "The Battery Charging Cradle will charge your battery. (PART# MOTBTONCHR)"
Well for me I don't want to power my phone down to change the battery when it's out of juice. I do it for my camera but it powers on almost instantly and even that annoys me slightly. No, the annoyance of having to power it down is not the end of the world, but for me id rather have one single bigger one than two smaller ones (queue the that's what she said jokes). Having a removable battery is useful for battery pulls when the software controlling the wifi radio stops playing nice. All that said, rock and a hard place for me because I will not make my phone fat (with the innocell big battery) and I had a case for my droid and didn't like it so even this solution would make me say "meh".